The global catheters market is valued at USD 32.01 billion in 2017 and is anticipated to grow at a CAGR of 7.37% during the forecast period. Catheter is a medical device that is inserted into the body cavity, duct, or vessels. Functionally, catheters allow the drainage of body fluids from the body, administration of gases or fluids, and access to the surgical instruments. The process of using catheters while operating an individual is known as catheterization. These catheters are either kept in the body permanently or temporarily depending on the requirement of the treatment. Catheters have major application in various cardiovascular treatments, neurological and urological treatments. The global catheters market is majorly driven by the in increasing number of patients suffering for cancer & diabetes, and continuous technological advancements for innovating new types of catheters. Moreover, favoring demand for minimal invasive surgeries in the emerging market would propel the catheter market during the forecast period. In addition, high adoption of catheters by the ambulatory care centers, and technological innovations for overcoming certain side effects by using catheters will augment the growth of the particular market during the forecast period. The global catheters market is segmented on the basis of product type, Cardiovascular Catheters (PTCA Balloon Catheters, IVUS Catheters, PTA Balloon Catheters, Electrophysiology catheters, Others), Urology Catheter (Foley Catheters, Hemodialysis Catheters, Peritoneal Catheters, Intermittent Catheters, External Catheters), Neurovascular catheter, Specialty Centers (Wound/Surgical Catheters, Oximetry Catheters, Thermodilution Catheters, IUI Catheters), Others. The catheters market is majorly segmented on the basis of different products in the market and their application. Hence, catheter market on the basis of product type are further categorized as cardiovascular catheters, Urology Catheter, Neurovascular Catheter, Specialty Centers. Cardiovascular catheters hold the major market share owning to the increasing incidences of cardiovascular diseases supporting the growth of cardiovascular interventional procedures. According to The American Heart Association, reported cardiovascular disease as a leading cause of death in the U.S., which accounts for 1 in 7 deaths in a day i.e. approximately 360,000 people every year. While, urological catheters are supposed to hold the second largest share owning to the increasing prevalence of urological diseases worldwide, and favorable government reimbursements for supporting the use of urological catheters. 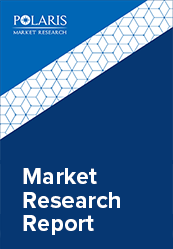 The report analyzes the global catheter market across North America, Europe, Asia-Pacific, Latin America, and Middle East & Africa. Geographically, North America accounted for the largest share in the global catheters market in 2017. North America estimated to share the major market for the global catheter market. The major growth of this market is anticipated due to increased occurrences of cardiovascular disorders. Hence, the North America is estimated to dominate the global catheter market during the upcoming decade. However, Asia Pacific is anticipated to dominate the global catheter market during the forecast period. rising number of cases of urology disorders and rise in the geriatric population demanding catheters are expected to become factor for the major share in the market. The major players operating in this industry include Johnson & Johnson Inc., Abbott Laboratories, Becton, Dickson and Company, B. Braun Melsungen AG., Medtronic plc., Boston Scientific Corporation, Cook Group Incorporated, Teleflex Incorporated, Cardinal Health Inc., Smiths Medical, Arrow International Inc., Edward Life Science Corporation, and Coloplast.